Audi Q2 Boot Space, Size, Seats | What Car? 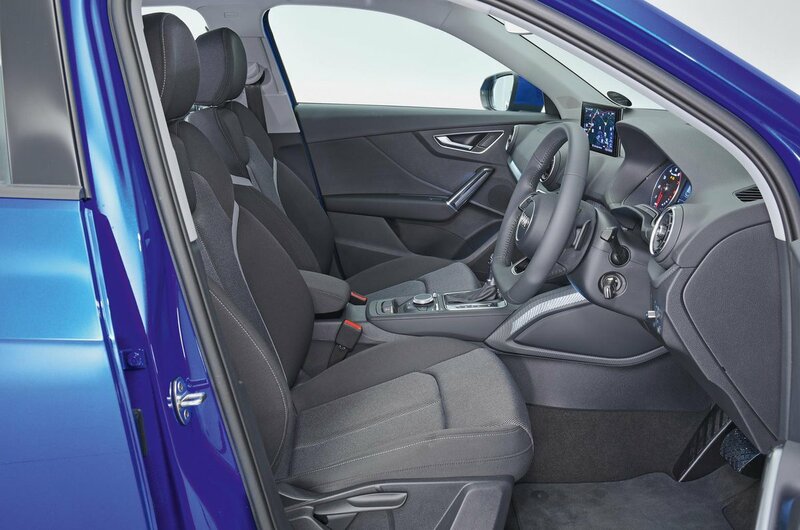 Even if you're a bit of a giant, front-seat space shouldn’t be a problem; there’s lots of head and leg room, so it’s easily a match for most rivals. In addition, there are a couple of cupholders in front of the gearlever, a decent-sized glovebox and door bins large enough to hold a one-litre bottle of drink. General oddment space for loose change or a mobile phone is harder to come by; it’s limited to a tray under the front centre armrest. It’s in the back of the Q2 that space is tight, because adults will find their knees close to the front seatbacks and their heads brushing the rooflining, while the relatively narrow interior makes three adults sitting side by side pretty uncomfortable. While it’s no worse than in the Volkswagen T-Roc, the Mini Countryman trumps it comprehensively. Rear passengers get a door bin each that takes a small bottle of water and a folding centre armrest complete with two cupholders inside. The front seats get lots of adjustment, including a wheel to recline the angle of the backrest and a lever to adjust the seat height. 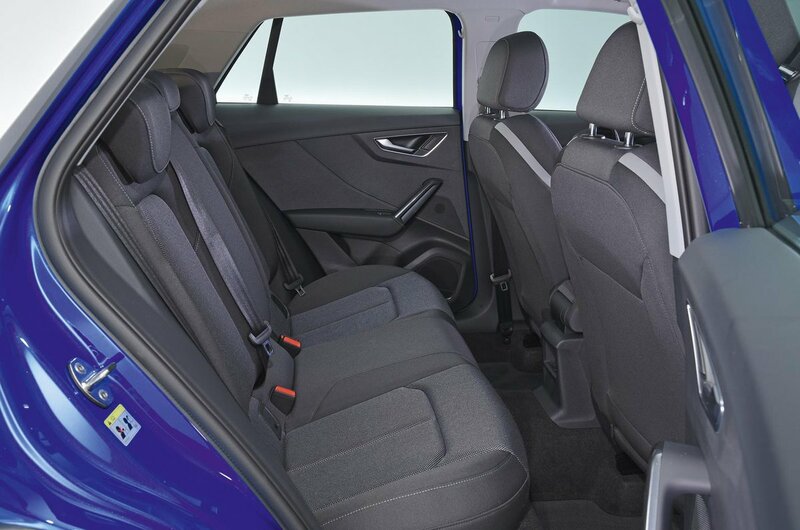 The Q2 comes with 60/40 split-folding rear seats as standard, with a 40/20/40 arrangement optional. The backrests are easy to drop using the levers by each headrest and, once down, they leave a near-flat extended load area. Unlike some rivals, such as the Citroën C3 Aircross, there’s no sliding or reclining rear seat option for the Q2. The Q2’s boot is marginally bigger than the A3 Sportback’s and is usefully square in shape, but some small SUVs such as the Countryman offer even more luggage space. That said, there’s room for three or four large shopping bags or a folded pram. 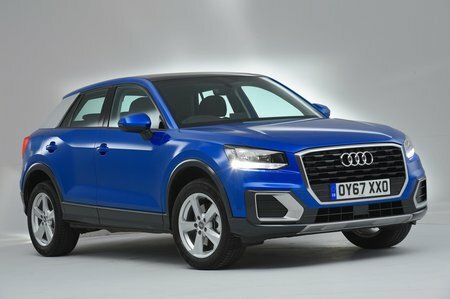 Two-wheel-drive versions of the Q2 get a variable-height boot floor. Quattro models don’t have this because the floor is higher in order to accommodate the four-wheel drive gubbins underneath. That does mean boot capacity is reduced. With the boot floor in its highest position (and at all times on quattro versions), the floor is flush with the leading edge of the boot opening, so there’s no load lip. It also gives you an agreeably flat extended load deck when you fold down the rear seats.